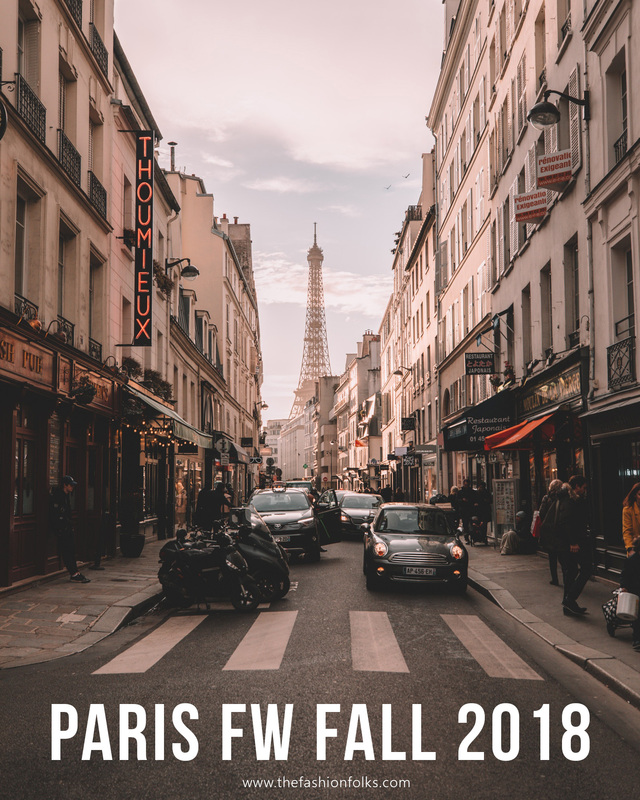 And it’s finally time to summarize PFW September 2018 that wrapped up earlier this week. As many of you know, Paris fashion week is the biggest out of the four big (New York, London, Milan and Paris). 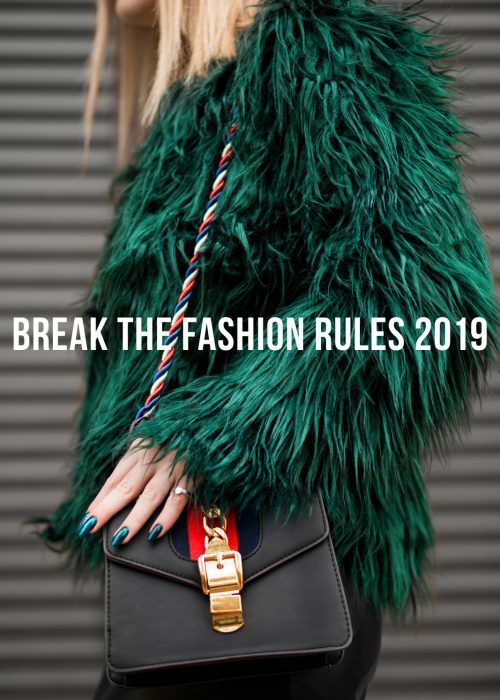 Naturally so, as Paris is sort of the unofficial fashion capital of the world, being home to some of the biggest brands such as Chanel, Dior and Louis Vuitton. This week was quite interesting with a mix of innovative designs and “same old”. Here’s a summary of PFW September 2018. Catch the previous summaries here. One of the biggest buzz this week was Hedi Slimane’s first collection for the classic brand Celine. Slimane was previous at Saint Laurent where he often explored the more rock, edgy, bohemian style. Phoebe Philo that was previously at Celine had on the other hand a more sophisticated, feminine approach with lots of pastels, loose silhouettes and simple layers. So when Slimane presented his first collection for Celine, people weren’t too happy about it – it was pretty much what he had done at Saint Laurent and nothing like Celine´s usual vibe. The collection, from its aesthetic point of view, isn’t bad but it is indeed neglecting the brand’s history and by doing so, probably its core customers. Vox wrote an interesting article on the subject here. And oh, here’s the full collection. Valli has for long been a favorite of mine, so I have to mention this collection. It had some really stylish looks and it also had some … less stylish look. I especially loved the use of prints as it reminds me of the old days of Valentino. Exploring where romanticism meets bohemian – done quite melancholic. Especially this look and this look were stylish. However, the same collection also used this questionable 1980s print, which felt completely misplaced. The choice of colors and prints also felt more appropriate for a fall fashion rather than spring? Anyways, have a look at the collection here. The classic french brand might be more known for their handbags and scarves, rather than their fashion. Which I get, the fashion is often really simple, elegant and stays safe within its comfort zone. This season though, it felt like Hermès added a few details and twists to their clothes which instantly made it more interesting. Still really wearable and simple, but also done well within its frames. This cardigan is an example of it, with the fun details of the zippers and leather elevating the look. This look is also interesting and this skirt is so chic! Love the exploration of classic colors and materials done in new versions. More of that please and done faux too! See the full collection here. It seems like next year’s spring season will be greeted with optimism and joy. That is if you can interpret the use of yellow and orange in the collections as a sign of happier days ahead. Yellow and orange was done a lot this fashion week, often leaning towards the warmer shades of the hues and done monochromatic as well. Altuzarra, Valentino, Hermès, Sacai, Sonia Rykiel, Poiret, Stella McCartney, A.P.C, Haider Ackermann, Balenciaga, Loewe, Dries Van Noten and Chanel all used yellow or orange in their collections. Sunny side up I say! Is the 70s the new 80s? That could be true if you were to analyze the vibe of the prints that were shown at PFW. Several designers worked more bohemian prints such as paisley, distinct flowers, batik and patchwork. Stella McCartney, Christian Dior, Alexander McQueen, Poiret, Paco Rabanne, Loewe and Chloé were some designers that embraced the 70s look. Except the prints, some collections were also flirting with a 70s vibe of vests, fringe, Cowboy shirts and boots! I did a similar trend spotting last season when I wrote that blazers were the new jackets. Skip your denim jacket, your classic leather and choose a blazer instead. Well, the popularity of the blazers seems to only be increasing as it felt like every other designer showed them this PFW. Often in black, but also in white, grey and sometimes in one distinct color. 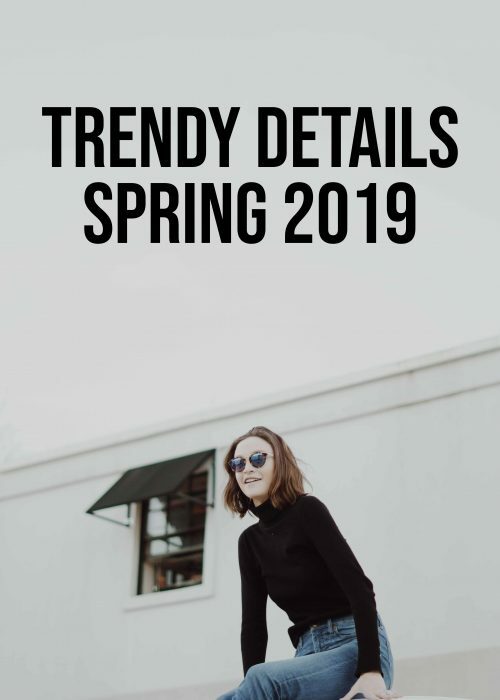 Some designers that showed the look includes: Acne Studios, Balenciaga, Balmain, Akris, Haider Ackermann, Isabel Marant, Dries Van Noten and Maison Martin Margiela! So what do I have to stay about PFW? I don’t know actually. As I already wrote in Wednesday’s post, I struggled to enjoy entire collections. I had so many individual looks that I loved (will do a post on that next week), but not a single collection that was brilliant through and through. I’m not sure though that the problem is PFW, I think I’m equally guilty, if not more, to be very critical of collections and styling. There’s always room for improvement and things that could’ve been done differently. I also have to say that I’ve lately been thinking a lot about fashion in general and the concept of the fashion weeks. Isn’t it weird that so many of the collections feels repetitive? That we’ve already seen what’s been presented? It’s always a revival of a decade from the 20th century. You know what Chanel got you this season and you know what Chanel will give you next season. Even Dior, with Grazia Chiuri still being relatively new at her post, is following a predictable pattern. I mean, if we’re going to waste the earth’s resources, encourage consumption we don’t need and participate in a highly questionable industry – can’t we at least get something new? Something that’s innovative, exciting, random and gets us to think. Turn it into art, only use recycled materials or produce in a small scale, I don’t know, but something that’s more than the shell it feels like today. Fashion is superficial, so that’s why it’s important to give it more dimensions. I get that it’s also about exploring a style you like and find new ways of doing it, but that can also only be done to a certain extent. I don’t know folks. Perhaps it’s only me being grumpy about it today. 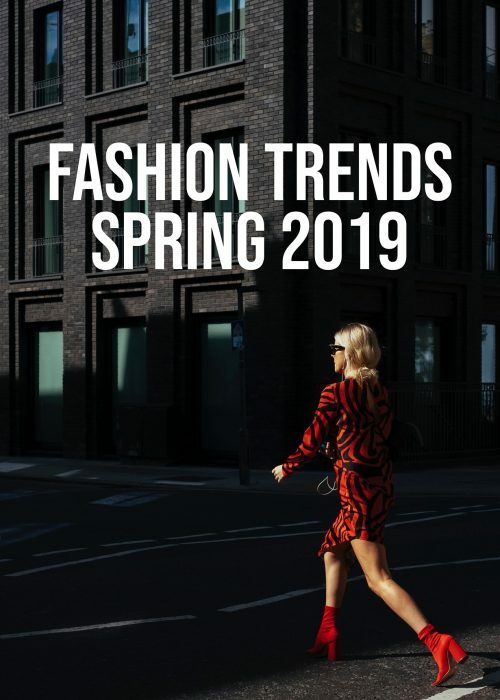 This is after all my highly subjective opinion, if the rest of the fashion world is content with its current situation – I guess I’m the one who doesn’t understand it anymore. Anyways, I’m rambling. I have a lot of individual looks I want to gush about, but let’s leave it for next week! Gorgeous collections, especially the blazers. Great photos dear. Thanks for sharing! The Celine and Hermes shows were my fave! I totally agree with you. I feel as though everything is so repetitive and there are no new ideas being explored. And as a true fashion fan, it’s so disappointing 🙁 I guess there’s always next year, right? Yup I hope so! And I do think I need to become better at looking at younger designers too, they’re refreshing for most part! What a wonderful summary of Paris fashion week. I agree that Paris is the fashion capital of the world. I was disappointed about Celine as well. I’m glad you made a mention of the beautiful clothes that Hermés showcases ! I know what you mean! Nothing seems to have the wow factor! That said, orange is my favourite colour and as we have red and pink as popular autumn colours for the second year running, it would be great to see some new colour trends emerge. Yes!! Would love to have more colder hues of green and blue be explored! Chanel was my favourite of the season! Love Hermes though! You make some brilliant points in this post Mia and nearly all of which I agree with you entirely! In particular, I found Celine to be such a shock; and it’s incredible how open the fashion community was about their disappointment – which is exactly what it was! Anyway, a fabulous round-up and looking forward to your new season Autumn posts! Ooh!